Gov. Peter Shumlin said Tuesday that he is asking legislators to act quickly next month to delay or dump altogether a school spending cap that has been causing angst for Vermont school boards as they prepare next year’s budgets. Shumlin said he met with legislators Monday, and they agreed to pass legislation promptly that would either put a one-year moratorium on the caps or repeal them. 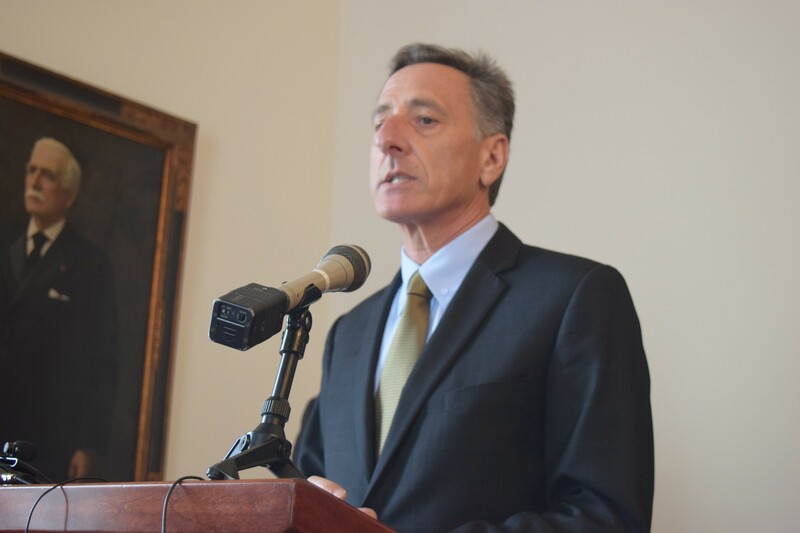 “We should do one of the two and have a bill on my desk before the hard-working school boards send their budgets to the printer,” Shumlin said. That’s a tight time frame, as the legislature convenes January 5, and school boards typically set budgets by late January for Town Meeting Day votes in March. The cap, or spending threshold, was a late-in-the-session compromise last spring. It was an attempt to provide immediate property tax relief in a bill that also calls for longer-term school district consolidation. Legislative leaders and Shumlin have acknowledged in recent weeks that the cap on how much school budgets could increase was being applied unequally, hitting some low-spending districts more harshly than higher spenders. As school boards started work on their budgets, lawmakers across the state began hearing complaints. House Minority Leader Don Turner (R-Milton) said that property-tax relief was crucial to last session's legislation, and he will fight attempts to remove the caps. “I’m very disappointed in that,” he said of Shumlin’s announcement.